The inherent complexity and non-homogeneity of texture makes classification in medical image analysis a challenging task. In this paper, we propose a combined approach for meningioma subtype classification using subband texture (macro) features and micro-texture features. These are captured using the Adaptive Wavelet Packet Transform (ADWPT) and Local Binary Patterns (LBPs), respectively. These two different textural features are combined together and used for classification. The effect of various dimensionality reduction techniques on classification performance is also investigated. We show that high classification accuracies can be achieved using ADWPT. Although LBP features do not provide higher overall classification accuracies than ADWPT, it manages to provide higher accuracy for a meningioma subtype that is difficult to classify otherwise. 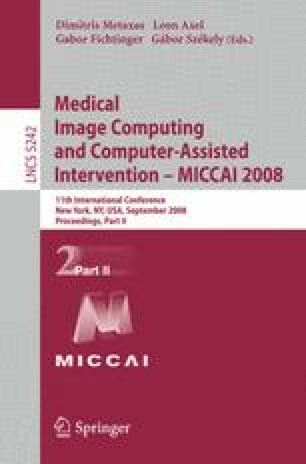 Electronic supplementary material is available for this chapter ( 10.1007/978-3-540-85990-1_24).